Am 26. 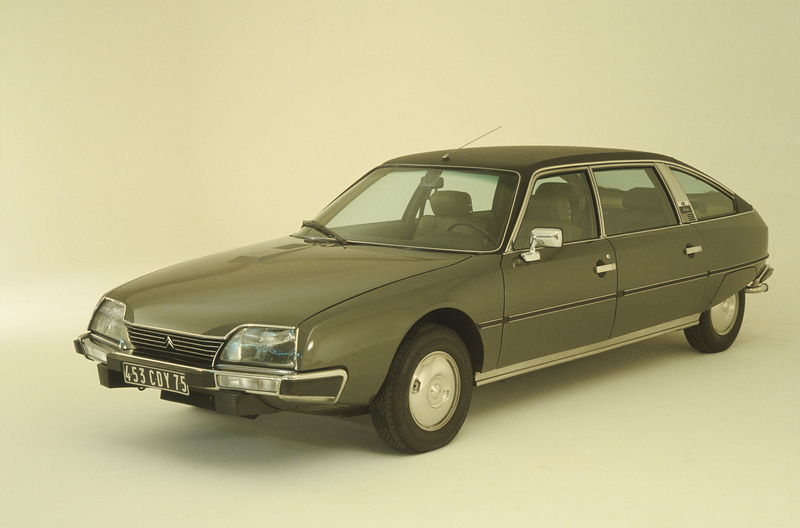 August 1974, also heute vor 40 Jahren, wurde der Citroën CX erstmals präsentiert. 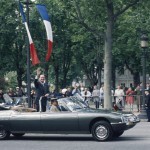 Als Nachfolger des legendären Citroën DS war das Modell der oberen Mittelklasse die Synthese aller technischen Entwicklungen von Citroën. 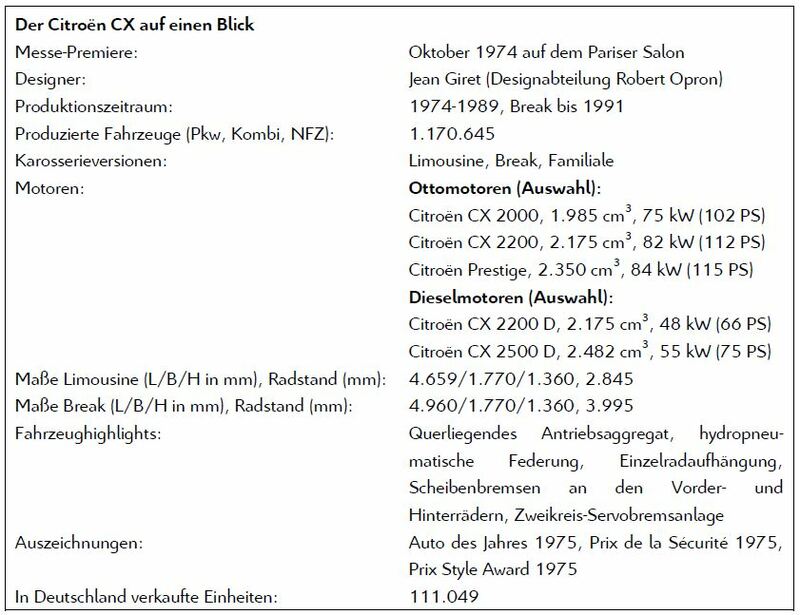 In Deutschland wurden zwischen 1974 und 1991 insgesamt 111.049 Einheiten des Citroën CX verkauft. 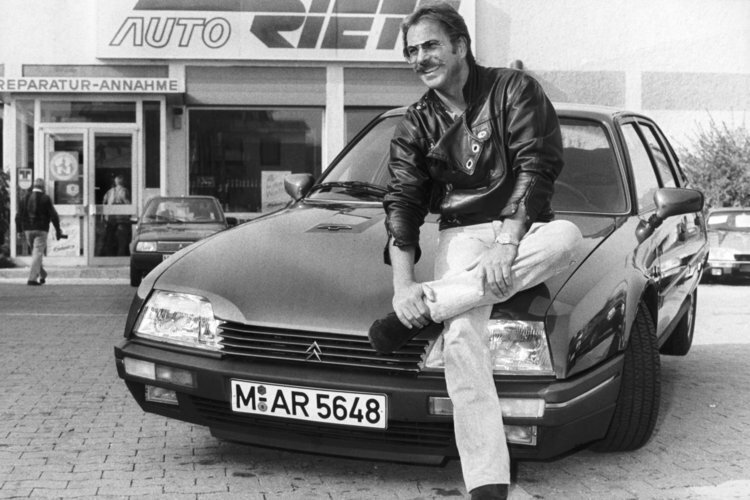 Besondere Bekanntheit erlangte der Citroën CX in den 80er Jahren in Deutschland als Dienstfahrzeug eines TV-Kriminalkommissars aus Duisburg. 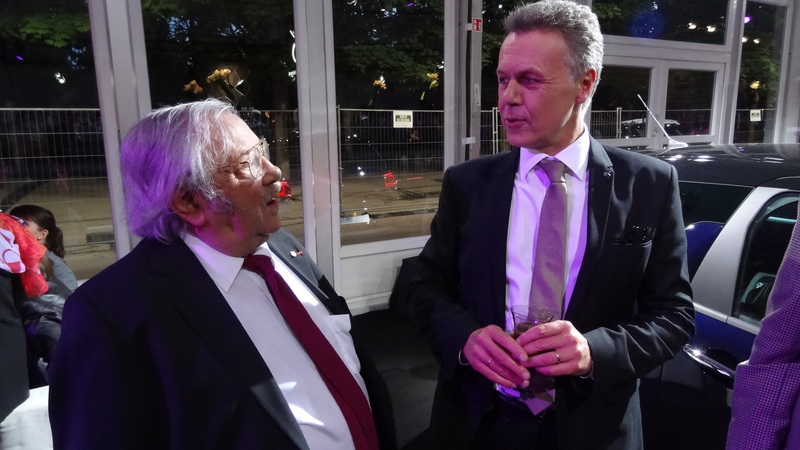 Die Pressemitteilung der CDG im Original Download hier. On August 26 1974, today exactly 40 years ago, the Citroën CX was presented. As a successor to the legendary Citroën DS, the model of the upper middle class was the synthesis of all the technical developments of Citroën. In Germany a total of 111,049 units of the Citroën CX were sold from 1974 to 1991. The Citroën CX became famous in the 80s in Germany as a service vehicle of a famous TV Series. 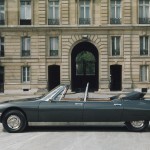 In 1969 came the start signal for the development of a successor to the DS model. 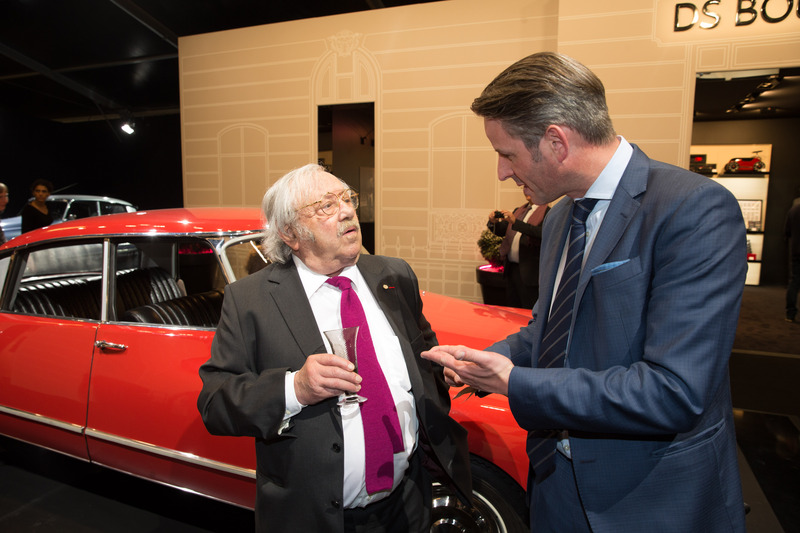 The aim was to create a vehicle, tying in to the charm of the previous model produced since 1955, but the objective was to have it significantly less expensive to produce. The Citroën CX was presented to the French President Giscard d’Estaing just before the Paris Motor Show 1974, following the international press launch in Lapland to which 25 journalists were given the opportunity to participate with a Citroën CX in the „Raid Arctique“ from Galliväre near Kiruna to ride approximately 3000 km in a wide variety of road surfaces and weather conditions towards Paris. The name of the Citroën CX goes back to the French term for the drag coefficient. 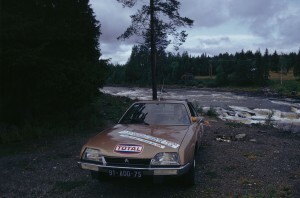 The drag coefficient of the Citroën CX was 0.39 and thus at a very good level. The Citroën CX was considered a synthesis of all the technical developments of Citroën. So he decreed among other things, a transverse drive unit, hydro-pneumatic suspension with constant ground clearance, independent suspension, disc brakes on the front and rear wheels and a dual-circuit power brake system. Later on the „DIRAVI“, a speed-sensitive and self-resetting power steering, was introduced. The concave rear window – just like the later „flagship“ Citroën C6 – let the rain run centrally, allowing the to skip a rear wiper. The designed of the Citroën CX was executed under the direction of chief stylist Robert Opron was following only slightly on the previous model DS. Only the reduced track-width of the rear axle and the hatchback style was taken over to some extent. 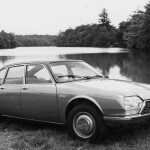 Two proven engine variants were delivered at first: the Citroën CX in 2000 took over the engine of the Citroën DS 20 with 1,985 cm3 and 102hp (75kW), allowing the vehicle to reach a top speed of 174km/h. The Citroën CX 2200 taking over from the the DSuper5 engine with 2,175 cm3 and 112hp (82kW) which could be accelerated up to a top speed of 179km/h. 1975 Citroën CX was voted „Car of the Year“. 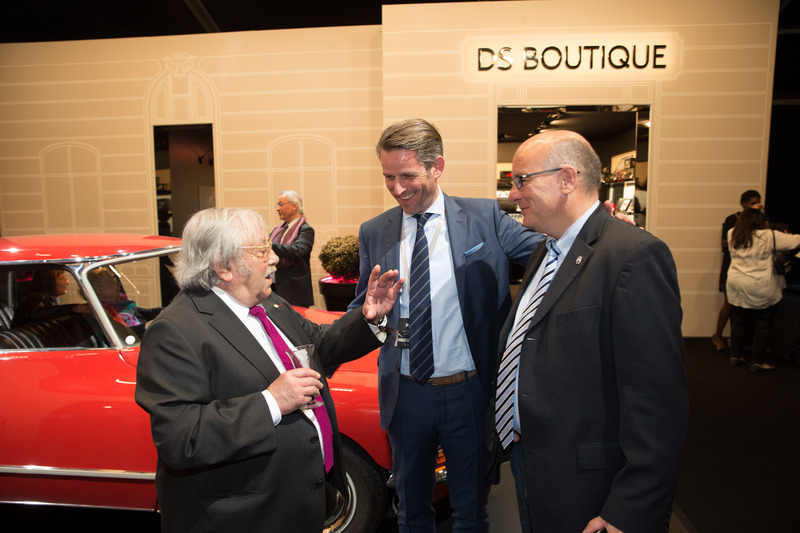 It also received the „Prix de la Sécurité“ and the „Prix Style Award“. 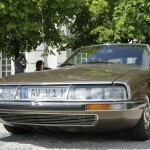 That same year, the Citroën CX 2200 appeared as the luxurious variant „Pallas“. 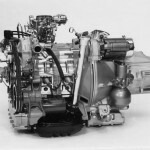 Shortly thereafter, with the CX 2200 D the first diesel engine was available which was used since 1973 in the models Citroën C32 and C35. In September 1975, the station wagon variant Citroën CX Break followed which had an extended wheelbase of 25cm compared to the sedan. The break was also available as Familiale: a station wagon with the third rear seat row and offering room for up to eight people. The second new release came a few months later: the Citroën CX Prestige arrived on the market, which came up with an electronic injection in 1977, which led to an increase in power to 128hp (94kW) and a top speed of 190km/h. 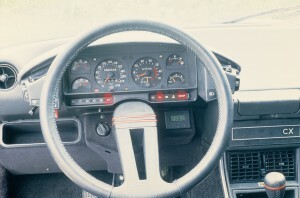 1978 Citroën CX was optically and mechanically evolved. 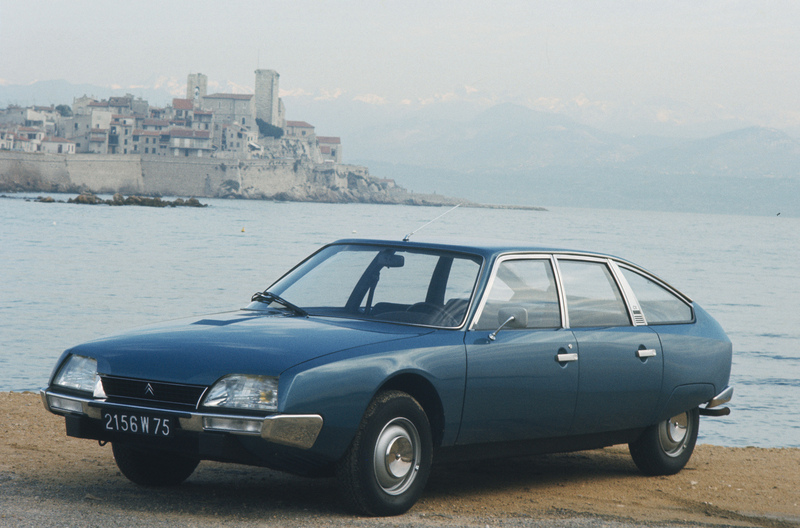 After extensive conceptual work on the existing aggregate, the Citroën CX 2500 D came with 75hp (55kW) to the dealerships. With this drive and a top speed of 156km/h, the Citroën CX could claim the title as being the fastest car with diesel engine. As of July 1985, the Citroën CX was undergoing another larger evolution – including plastic bumpers and round dials instead of rolling speedometer in the interior. By an again revised turbo diesel engine allowing a top speed of 195km/h, the Citroën CX could again claim the title of being the world’s fastest diesel vehicle. 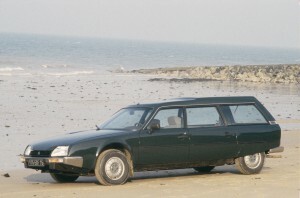 The Citroën CX Break served due to its length and available space without body modifications as the basis for many customized bodyworks – for example as a ambulance and hearses. Thanks to the hydropneumatic suspension, the Citroën CX had very high payload of over 700kg. The luxury version Citroën CX Prestige was used by some heads of state as a presidential limousine. So, for example, Eastern Germany’s Erich Honecker used several Citroën CX Prestige, which were also extended and offered space for a third row of seats. 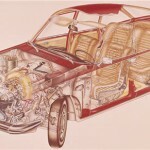 Between late summer 1974 and 1989 a total of 1,041,560 units of the series Berline (sedan) and 128,185 Break (station wagon) were produced. 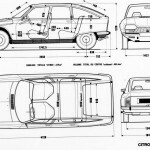 The Citroën CX Club in Germany (www.cx-club.de) deals with the preservation and restoration of historic Citroën model and is considered an expert contact for questions about technology, acquisition and maintenance of the Citroën CX. 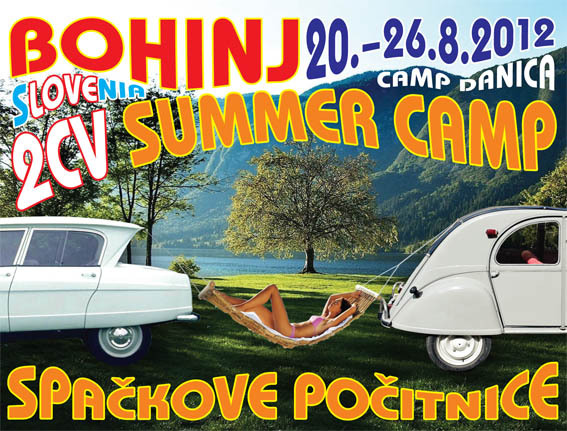 Please fetch the original press release of Citroën Germany here (German spoken only, sorry). 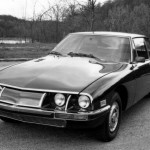 Le 26 Août 1974, aujourd’hui il ya exactement 40 ans avant, la Citroën CX etait présenté. 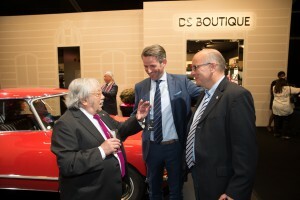 En tant que successeur de la légendaire Citroën DS, le modèle de la classe moyenne supérieure est la synthèse de tous les développements techniques de Citroën. 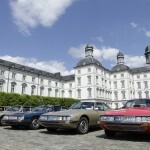 En Allemagne, un total de 111,049 unités de la Citroën CX etaient vendus de 1974 à 1991. 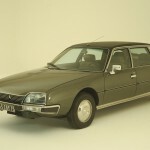 La Citroën CX est devenu célèbre dans les années 80 en Allemagne en tant que véhicule de service d’une célèbre série en TV, „Commissaire Schimanski“. Le communiqué de presse de Citroën Allemagne pour télécharger ici (en Allemand, desolé). Vor 40 Jahre, im Herbst 1973, präsentierte Citroën auf der Internationalen Automobil-Ausstellung in Frankfurt den Citroën GS Birotor. 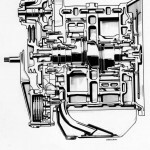 Der Zweischeiben-Wankelmotor bot im Vergleich zur herkömmlichen Motorisierung des Citroën GS dank einer außergewöhnlichen Laufruhe und Drehfreude ein völlig neues Fahrgefühl. 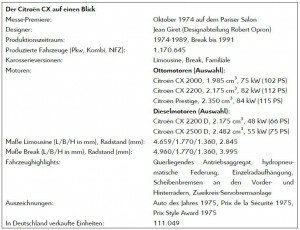 Der Download: Pressemitteilung der Citroën Deutschland GmbH: 40 Jahre GS Birotor. Wir empfehlen, sich bei Fragen rund um die Technik, Ersatzteile und Expertenwissen an die deutschen Citroën-Clubs zu wenden. „…40 years ago, in the fall of 1973, Citroën unveiled at the International Motor Show in Frankfurt, the Citroën GS with two rotors. 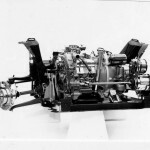 The two-rotor Wankel engine offered in comparison to the conventional engine of the Citroën GS an outstanding modesty and allowed a completely new driving experience. 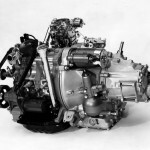 The perfectly balanced rotary engine with two rotors had no vibrations, hence its noise level up to the highest speed ranges was extremely low. 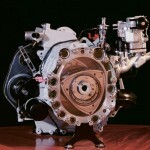 The water-cooled two-rotor Wankel engine was comparatively simply structured with eight main elements: In addition to two trachoides and an intermediate portion for separating the two trachoides, the two rotors had two side panels front and rear, two circular pistons, also called the rotor, and the motor shaft with two eccentrics. 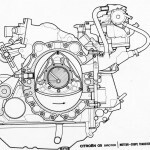 The four-stroke system worked without valves, springs, rockers, rods or camshafts. In the first cycle, the fuel-air mixture penetrated through the intake. The piston locked in the second cycle, the inlet opening and thus the compressed mixture. The sparks generated by the spark ignited the fuel-air mixture in the moment in which the compaction pressure was maximum. The offset in the third expansion stroke the piston in rotation and provided thanks to the force applied to the piston surface pressure forces the necessary operating power. 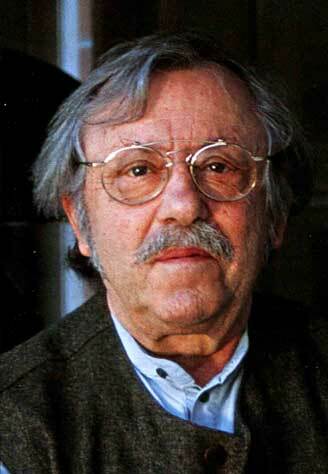 The fourth and final stroke, the piston released the outlet so that the burned gases could flow out. 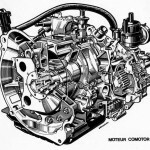 The production of the two-rotor Wankel engine Type 624 is based on a cooperation with the company comotor SA, a joint venture between Citroën and NSU. Between March 1974 and March 1975 a total of just 847 Citroën GS with two rotors were produced at the engine plant in Altfortweiler on the Saar. 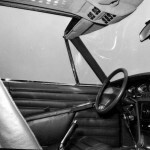 A changed market situation made ​​for the early end of the Birotors: Due to the energy crisis of the mid 1970s, the planned for Germany selling the Citroën GS with two rotors for the price of 14,500 Deutsche Mark was stopped before the launch because the engine at an average consumption of around 14 l/100 km were given no good market opportunities.